Medical Intuitive Jean Sheehan, provides medical intuitive, personal development and relationship consultations, Monday to Friday between 9:00am and 5:00pm. A choice of consultation options are available for your convenience. On request out of hours consultations can be arranged for both Australian and international clients. Appointments can be made by completing the eForm below. It’s important that in addition to your name you also include a brief description of what you wish to address during your consultation. This need not be in depth, however it does help to focus on your intentions at the time of the consultation. To assist our team in providing you with the best possible experience when booking your consultation complete the eForm with your physical location, including country and state details. Finally we require your best contact phone number, including country code if outside Australia and your local area code. Jean Sheehan and the Millennium Education team look forward to connecting with you soon. 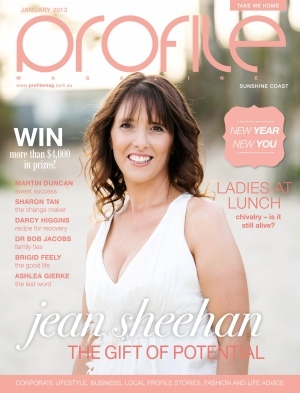 Introducing Jean Sheehan, internationally recognised Medical Intuitive AKA the ‘Walking Talking MRI’, author of the Millennium Modality® & Principal of Millennium Education based north of Brisbane in Noosa Heads on the Sunshine Coast, Queensland, Australia. As principal of Millennium Education Jean Sheehan educates, coaches and mentors schools, childcare centres and corporations to conscious living and self realisation. She is inspirational and captivates her audiences from the heart. Connecting souls to pure ABUNDANCE, and love, releasing limiting beliefs / patterns and habits, to experience a true and absolute empowerment of self fulfilment and peace in all areas of life. An expert in Children’s emotional care, Jean successfully guides Parents & Children to a sense of safety, fulfilment and peace.